Here are two (before and after) pictures of my backyard gardens. 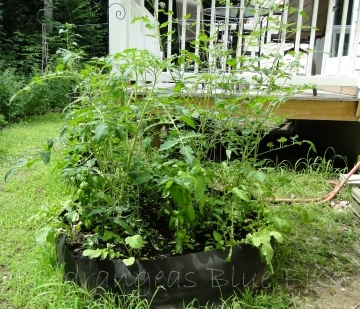 I planted 4 tomatoes in this fabric raised bed back in June. I added a few basil plants and radishes around the edge. As you can see, by mid July they are growing like crazy. I haven’t eaten any tomatoes yet, they are still green. I have one red grape tomato that I will probably eat tomorrow and that means there will soon be more that are ripe. 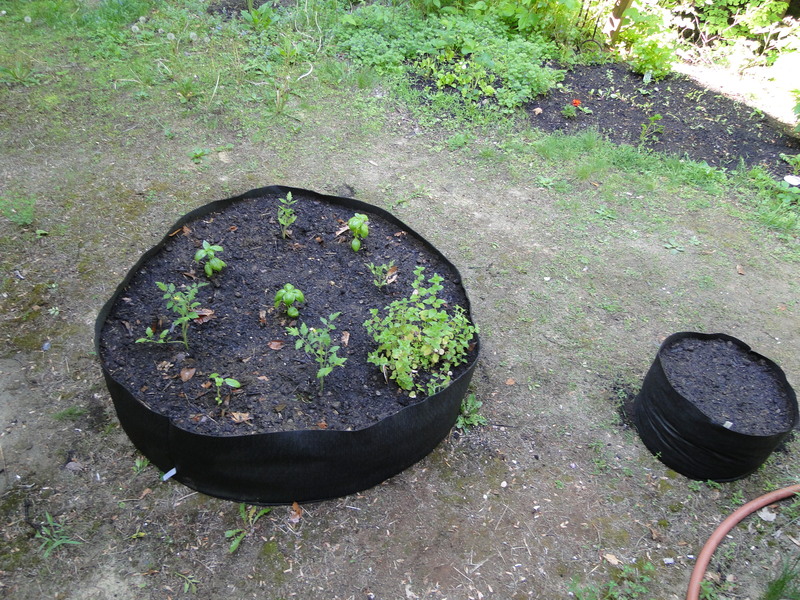 All my fabric raised beds are doing well except for the potatoes, but I don’t know if they are just ready to be dug. The potato stalks look like they are dying, so I hope when I dig down into the bag I will find potatoes worth eating. Those little turd bugs got ahold of the leaves while I was away for 10 days. My carrots don’t look too good either. I haven’t grown carrots for many years because I never had much luck with them getting large enough to use. My concrete block raised bed is also doing well. I have zucchini in that along with a couple of grape tomato plants. I just ate boiled zucchini for breakfast!